If you’re in the market for a 4K Ultra HDTV and were hoping to be among the first to snag 4K Blu-ray movies, it looks like you’ll have to wait another year. The Blu-ray Disc Association (BDA) had assigned a task force made up of BDA member studios, electronics manufacturers and media companies last year to figure out the best way to make 4K content applicable to the Blu-ray format. Evidently, the task force’s findings through the first quarter of this year have led to a number of proposals that have yet to be publicized, but the main point is that 4K Blu-rays will not be manufactured and marketed this year. The next move is to get input from content creators to better understand specifications and how the technology can be utilized in different ways. The findings would then be presented to the BDA board of directors later in the year. That process essentially kills any possibility of the format coming to market this year, as manufacturers look to capture early adopters itching to have the latest TV technology. Interestingly, a key hurdle in 4K Blu-ray development is backward compatibility, with experts mulling over the merits of how to do it, and whether they should even bother in the first place. These next steps may determine if the format that ultimately hits retail is a dual 4K Blu-ray format or just 4K only. 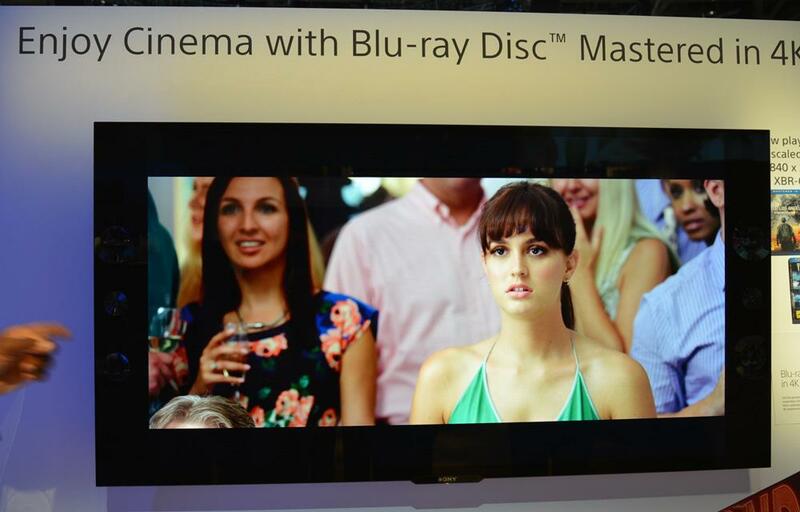 Sony, which is pushing 4K hard, has already begun producing “Mastered in 4K” Blu-ray discs that are not actually 4K. Instead, they’re regular 1080p discs made from digitally re-mastered movies that are apparently optimized for 4K Ultra HD TVs. Think up-converting with a 4K twist. The first batch of 15 is expected to come out in just two weeks. The lack of 4K Blu-ray this year leads to a content delivery gap that may only be filled by streaming services, like the one Sony teased about at CES in January. No details have been revealed about how such a service would actually work or what it would cost, but early 4K adopters will find that these are the only avenues to enjoying 4K content on that brand new Ultra HD TV.